Anirban Lahiri, the current Asian Tour leader, was involved in three ties and lost all of them as his side -- the International Team -- was pipped by the United States by a point to retain the Cup last week in Incheon, South Korea. 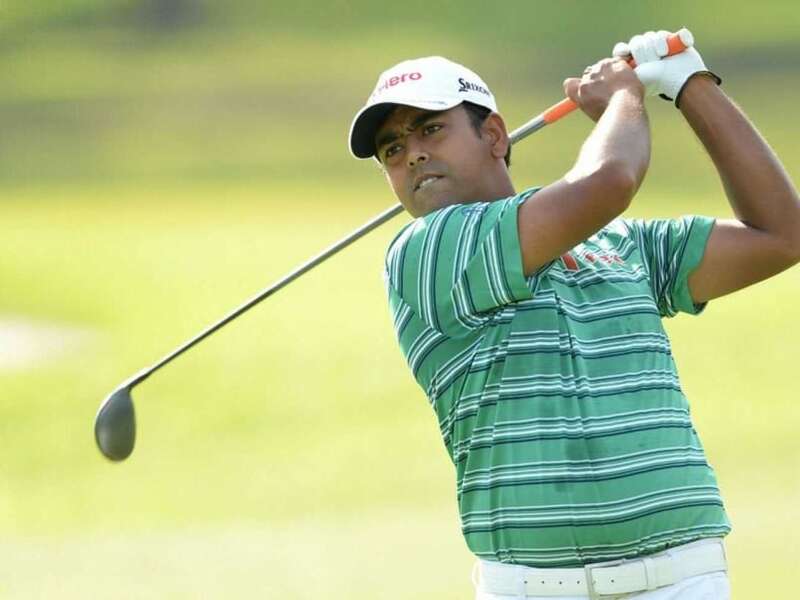 Leading Indian golfer Anirban Lahiri will start his title defence at the $1 million Venetian Macao Open here on Thursday, hoping to move past the disappointing Presidents Cup debut and also sealing the top spot of the Asian Tour season. Lahiri, the current Asian Tour leader, was involved in three ties and lost all of them as his side -- the International Team -- was pipped by the United States by a point to retain the Cup last week in Incheon, South Korea. But the 28-year-old is happy to return to the Macau Golf and Country Club that gave him a memorable victory 12 months ago. "Anywhere that you win, it's good luck or a charm. There are times you play well and you don't win and there are times you get rewarded with a win. Anytime you go back to a course where you've won, it's always fun," World No.39 Lahiri said in a release. After winning the 2014 Macao Open, the Bengalurean went on to win in Malaysia and India in February and has since enjoyed a magical season which included a top-five finish at the Professional Golfers Association (PGA) Championship and earning a card on the PGA Tour in the US. He also moved into the top-40 world rankings that put him into the International Team for the Presidents Cup. "It's so different from where it was last year. The experiences I've gained in the last 12 months is like I've grown a few years as a golfer. You play some of the toughest golf courses in the world and some of the best players in the world week in week out," he said. "You have some good results and sometimes, you don't get a result. It's been a massive learning curve and you can't quantify, whether it's the Presidents Cup, the Open or the Masters. Every tournament teaches you stuff about the game that you didn't know a week ago." he added. Lahiri has won $925,484 this year so far -- $548,348 more than the second placed Andrew Dodt of Australia. A win here will all but ensure Lahiri's position at the top of the Order of Merit. "It's a critical event. This is when you want to get on a roll and start playing your best hopefully. It was great timing for me last year. The goals have changed slightly for me and the targets are slightly different now than 12 months ago. I'm so glad to be back at the Venetian Macao Open." Lahiri will tee off alongside four-time Major winner Ernie Els of South Africa and Liang Wen-chong. S.S.P. Chawrasia, third in the Asian Tour Order of Merit list, will also take part in the event. Rashid Khan, S. Chikka, Himmat Rai, Abhijit Chadda, Khalin Joshi, Angad Cheema, Manav Jaini, Shiv Kapur, Gaganjeet Bhullar, Chiragh Kumar and former Asian Tour champions Arjun Atwal and Jyoti Randhawa will also be there. Top Asian stars include Scott Hend, Thongchai Jaidee, Thai Prom Meesawat, Kiradech Aphibarnrat and Siddikur Rahman.